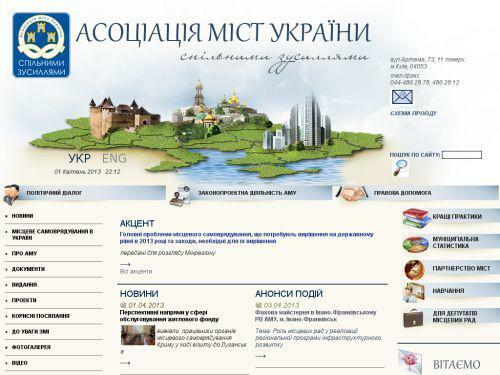 Site of the Association of Ukrainian Cities, the main objective of which - the reform of the political system of the state, the support of the course of market reforms, the expansion of horizontal connections between cities based on economic cooperation. Information about the Association, aims and objectives, the regional offices of the Section. News, advice, publications, forum.